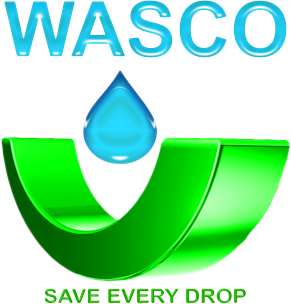 Water and Sewerage Company (WASCO) invites interested and qualified entities to submit proposalsfor the ‘Supply and delivery of ICT Equipment’. All interestedbidders must be in possession of a proven track record and must be licensed for providing services of this nature. All bidders must attach certified copies of valid Tax Clearance Certificates and Company Registration Licences or equivalents as the bids without these documents shall be disqualified. The full Request for proposal (RFP) indicating all requirements and specifications may be collected from the address stated below. All Requests for Proposals (RFPs) shall be sent to suppliers by email after paying a stated commitment fee below and the contacts below shall be utilised for assistance. Tender documents will be available at a non-refundable tender deposit of One Thousand Maloti only (M1,000.00). The price quoted in the bid must be in Maloti/Rand and include all applicable taxes and duties. The Bids must be submitted in any of the official languages of Lesotho. Tenders received later than the mentioned deadline below, telegraphic, faxed or electronic tenders shall not be accepted. Detailed tender packaging and labelling requirements in the Request For Proposal (RFP) must be adhered to otherwise non- adherence shall lead to disqualification. Any queries concerning this tender should be addressed to Supply Chain Management at this e-mail address: supplychainmanagement@wasco.co.ls. All queries and questions shall be attended in writing and submitted to the bidders who purchase the document on the day specified for submission of questions and answers.